As a glamorous hub for the world's wealthiest jet-setters, Monaco is unparalleled -- despite having barely three quarters of a square mile of land for its 37,000 residents. 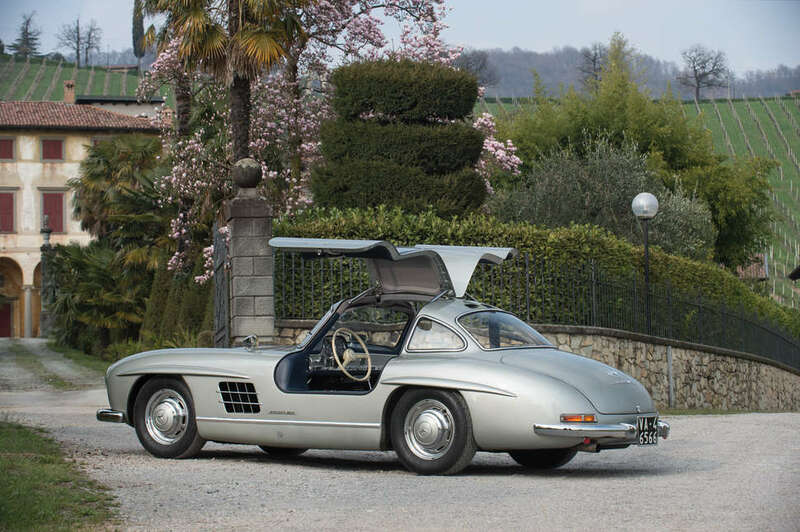 It's no coincidence, then, that whenever RM Sotheby's heads to the principality for its annual auction, some of the coolest, fastest, most collectible, and most gorgeous cars ever produced all take turns going under the hammer. As these 10 attest, this year is no different. Check 'em out below, then see the full lineup here. In the oft-romanticized history of Ferrari, a handful of the fastest and sexiest classics tower above the rest. This is one of them. 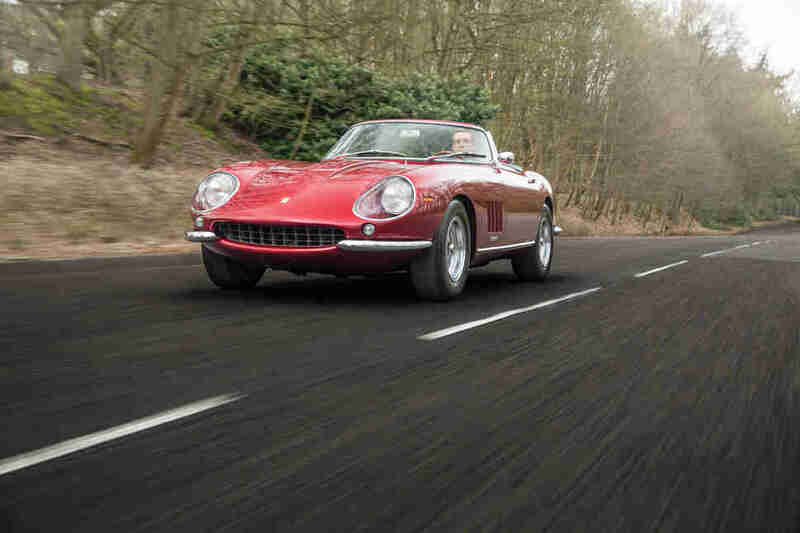 The 275 is considered one of Ferrari's greatest masterpieces, but more than that, this is a NART. NART stands for North American Racing Team -- i.e., the Ferraris that competed in American races. Only 10 275 GTS/4 NART Spiders ever rolled out of Ferrari's factory, and their impact ranged from a spotlighted role opposite Steve McQueen in The Thomas Crown Affair, to a podium finish at the famously grueling 12 Hours of Sebring in 1967. This happens to be the very last NART Spider ever built, so yeah, it's going to command a premium price tag at the auction. 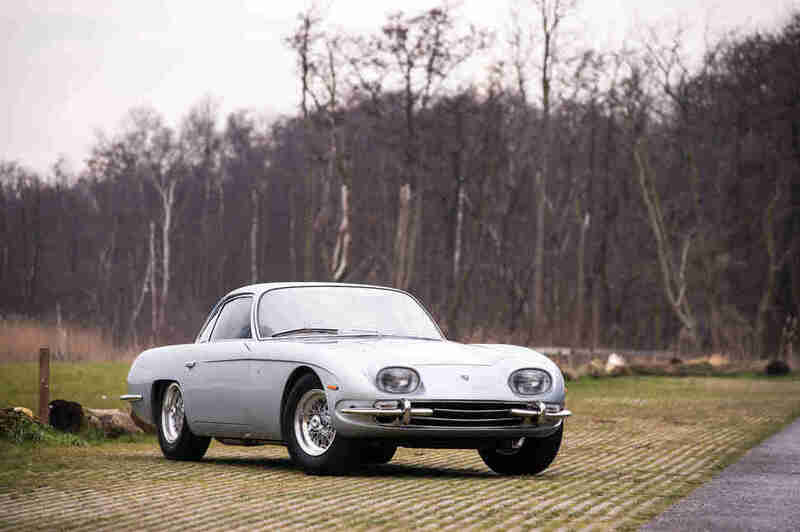 If you didn't read the name of the car first or already know what it was, would you honestly have guessed that this classic grand tourer was a Lamborghini? Yeah, didn't think so. With the V-12 engine up front instead of behind the driver, it's certainly a rarity in the Lambo world, but it's also the very first Lamborghini ever made. Stunning in its own right, without this there'd be no Miura, no Countach, no Aventador... just a bunch of tractors driven by Italian farmers. Generally, when a performance car takes its name from a defining feature of its construction, it's going to be an outstanding car -- for example, the 911Turbo (because it had a turbocharged engine), the Corvette ZR1 (because ZR1 was a performance package code), or the GT40 (which was 40in tall). The Giulia Tubolare Zagato was a) related to the Alfa Romeo Giulia, with a body by legendary designers at Zagato, and b) built on a very rigid tubular frame. Rigid frames make for good race cars, and this one certainly was that, successfully going toe-to-toe against the Ferraris and Shelbys of the world in the mid-1960s. 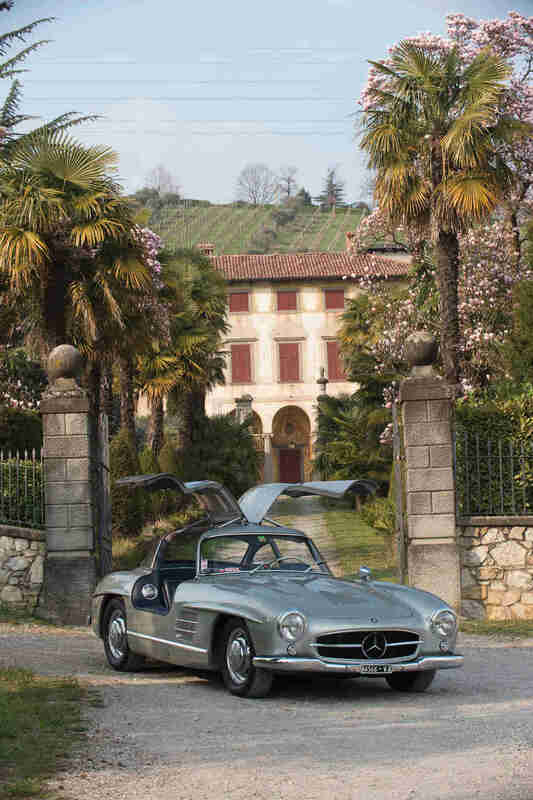 Technically, the world "gullwing" applies to any door that hinges on the roof, but for many, it's synonymous with the Mercedes 300SL. James May once referred to this car as the genesis of all supercars, and with good reason: it's more or less the road-going variant of Mercedes' 300SL race car, which enjoyed one of the most dominant runs in motorsport history in the mid-'50s. As a 240hp road car, it could hit 165mph, back when cars like Corvettes could barely touch 120. Combine that with timeless looks, and you see why it's a seven-figure car. If you're wholly unfamiliar with the history of rally, there's one letter you need to know: B. As in, Group B, the classification of cars that represented some of the fastest and most advanced vehicles ever to race. 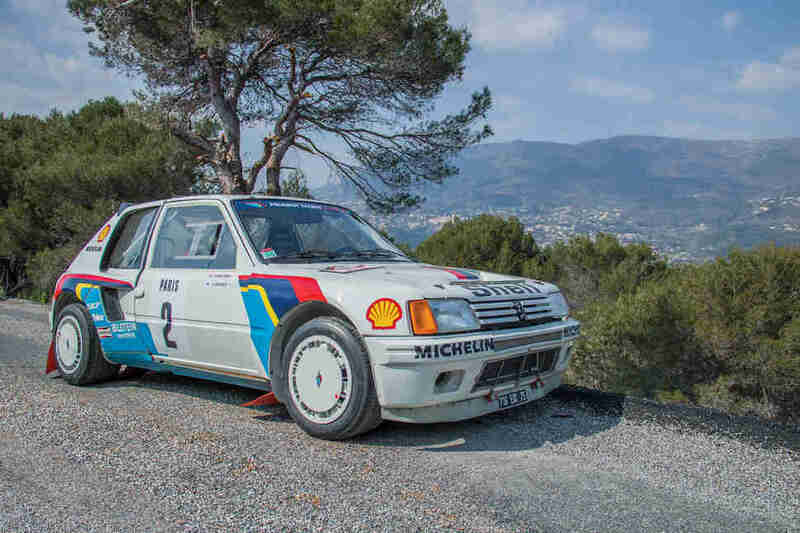 To this day, there's a borderline mythological aura to the Group B cars, and Peugeot was as dominant as any. This specific car won the first two events of the 1985 season, making it a major contributor to that year's World Rally Championship. Porsche's 911 history is ripe with race-winning icons, but the name RUF sticks out. 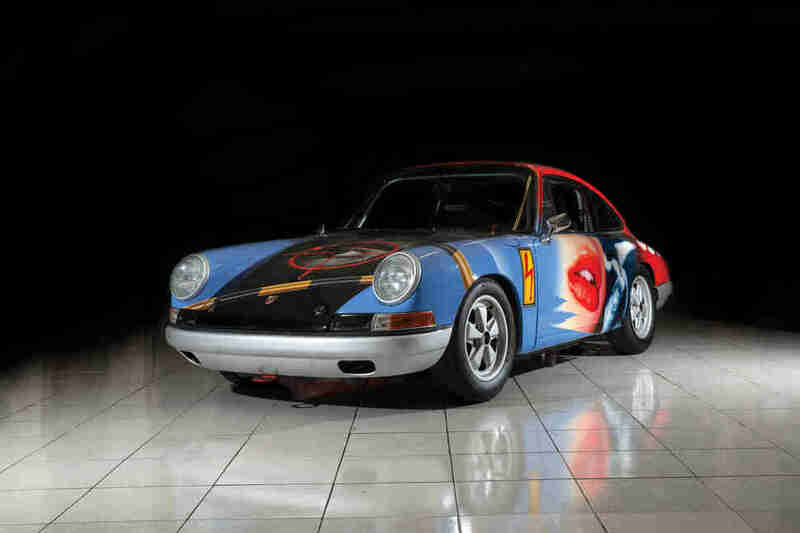 The preeminent 911 tuner's reputation was cemented in Porsche lore when it created the infamous "Yellowbird," a 211mph-going supercar that was, for a time, the fastest car around. Born a Porsche 911 Turbo, otherwise known as the 930, or simply "The Widowmaker" for its lethal tendencies when driven by unskilled amateurs, Yellowbird was massaged to the tune of 469hp, and remains to this day a force to be reckoned with. This is that car's sinister twin. A regular '65 911 isn't exactly garbage -- its current rate appreciation is up there with any car on Earth in the past few years -- but this one's a bit... well, just look at it. It's an art car, one that was painted in 2009 by a renowned German artist by the name of Klasen. Your eyes aren't deceiving you, that's a woman on the side, and a bullseye on the hood. Klasen had this to say about it: "My painting, related to the urban environment in which I live, must be understood as a refusal, even as a denunciation." Translation? It's essentially a James Bond-themed protest (hence the "007" name) against the sort of GQ style we see in contemporary culture. Whatever your feelings on pop art protesting pop art -- it's still a great car. The word homologation denotes a special place of honor in the car world: it represents the sheer commitment of a carmaker to qualify a race car for a specific class of racing, by producing it as a street-legal vehicle. 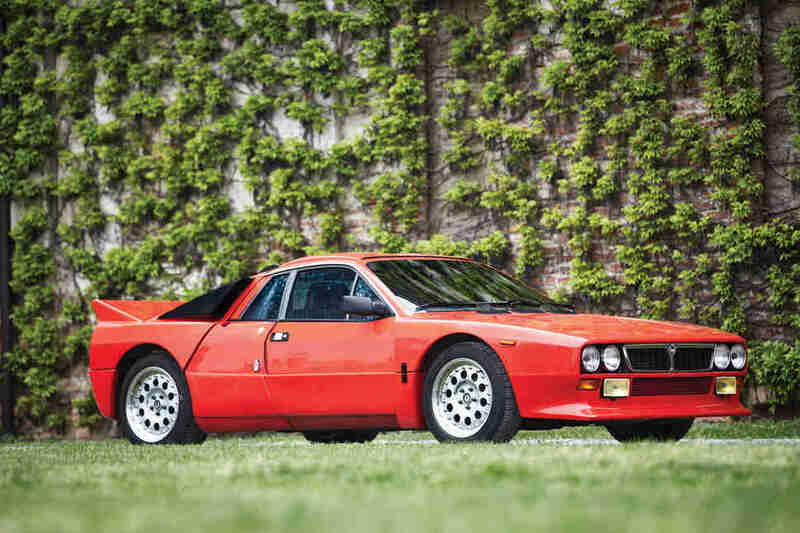 The Lancia 037 was the world's last rear-wheel-drive World Rally Champion, and you're looking at one of just 207 of its street-going (or "Stradale," in Italian) brother. Made from Kevlar and carbon fiber -- which for 1982 was absolutely cutting edge -- the 037 was the fancy follow-up to one of Lancia's other rally supercars, the legendary Stratos. This is an impeccably restored rally car for the street. 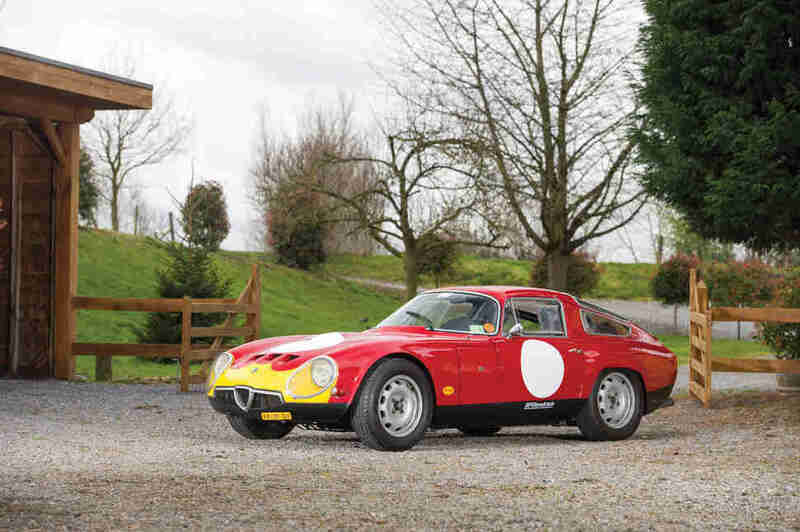 There was a time in the 1960s when the tiny Renault Alpine, with its engine in the rear helping provide traction on dirt roads, was an unbeatable force in the world of rallying. This car started out as a road car, but successive owners moved it toward the decidedly dirty path of world-class off-road racing. Now? Its restoration makes it in-line with its championship-winning siblings, and it's a stunner. The 911 is, overall, the most successful sports car-turned-race car in the world, having won virtually everything there is to win. 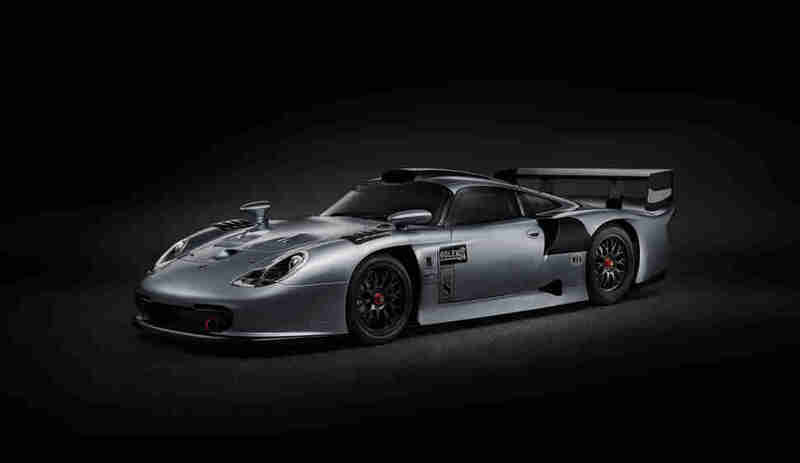 This 911 GT1 Evolution, though, is different. It was designed as a race car first, to get around the rules, then carefully adapted to be street legal. Even by the most tightly scrutinized definition of the term, this is the "street-legal race car" archetype. This exact car competed in the 24 Hours of Daytona, then won a bunch of races in Canada, no doubt aided by the "600+" hp lurking between the driver and the rear wheels... and it's absolutely legal to drive down the street today. Aaron Miller is the Cars editor for Thrillist, and can be found on Twitter. 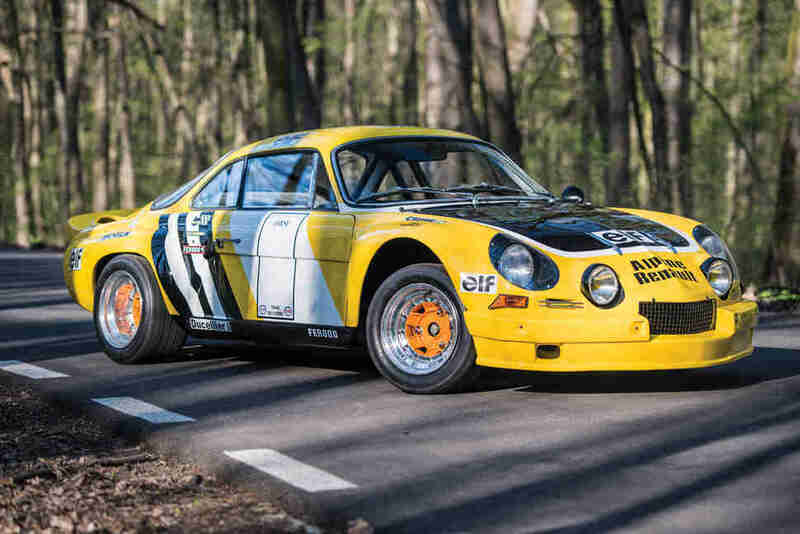 He's still crazy about the Alpine A110.